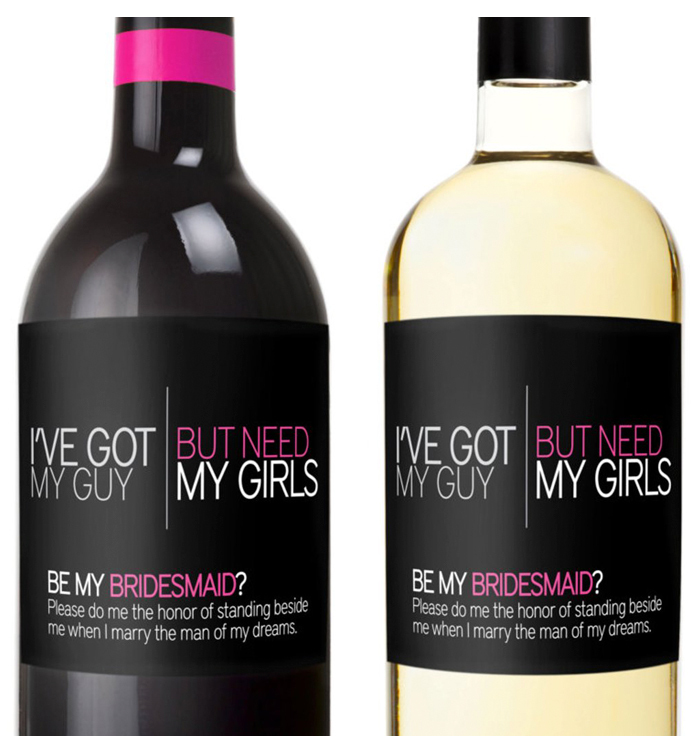 He may have popped the Big Question, but now it’s your turn to do the asking – to your bridesmaids, of course. Just as your own proposal was unforgettable and made you feel on top of the world, you’ll want to pass this on to your girls – after all, they’ll be the ones holding your hand as you prepare to make your way down the aisle. 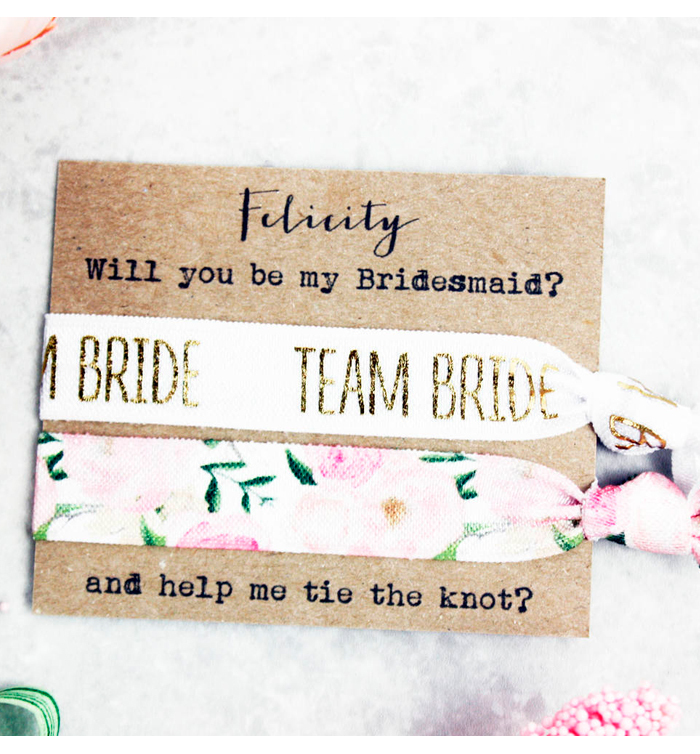 There are lots of ways to ask your best friends to join your bridal brigade, from personalised gifts, cute cards and unique ideas. Here are our favourite ways to pop the question that will guarantee they say YES! If you want to ask your group of friends en masse, invite them over for a night in and stock your fridge with your favourite tipples, given a makeover with these cute personalised labels. Don’t drink? Wrap them over your bottles of alcohol-free bubbles instead! If you’re not one for grand gestures, preferring to keep things intimate and low-key, these hair ties are a great idea. 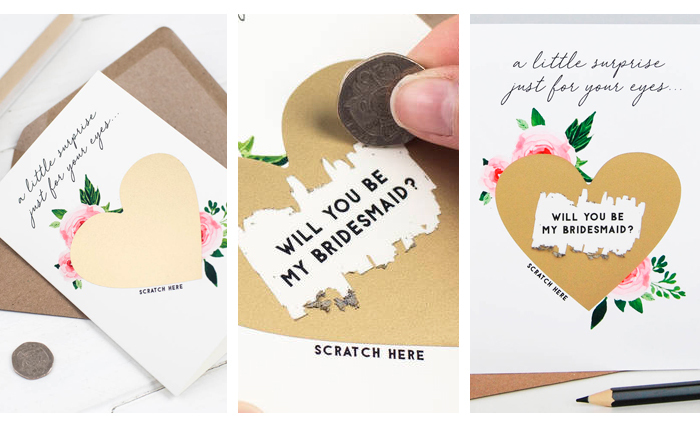 This set by Emilie Rose comes in two designs on a very punny card which can be personalised with your bridesmaid-to-be’s name for an extra special touch. It’s a special occasion, so if you really want to spoil them, why not gift them a luxurious hamper box with everything they’ll need for their bridesmaid duties? 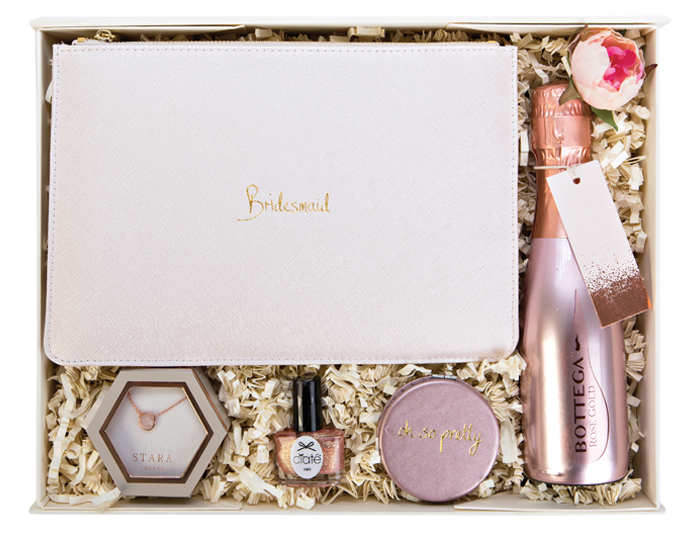 This one from Build My Gift is specifically for bridesmaids and contains a haul of rose gold goodies she’ll find hard to refuse. Pop the 20cl bottle of Bottega Rose Gold Prosecco once she’s said yes. Alternatively you can put together your own hamper on the site with a choice of luxury goods including fragrance and gourmet bites. 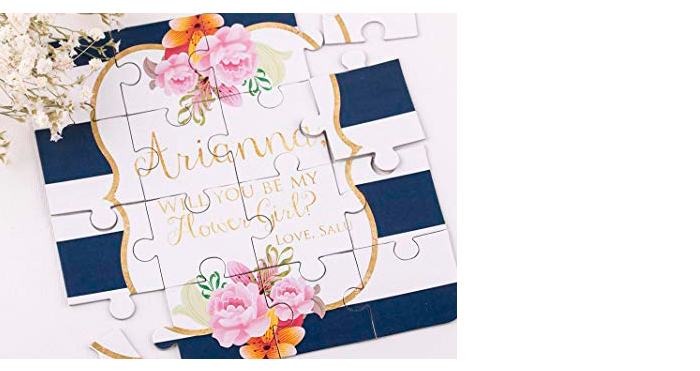 Keep them guessing a little longer with this sweet jigsaw puzzle from XOXO Kristen. 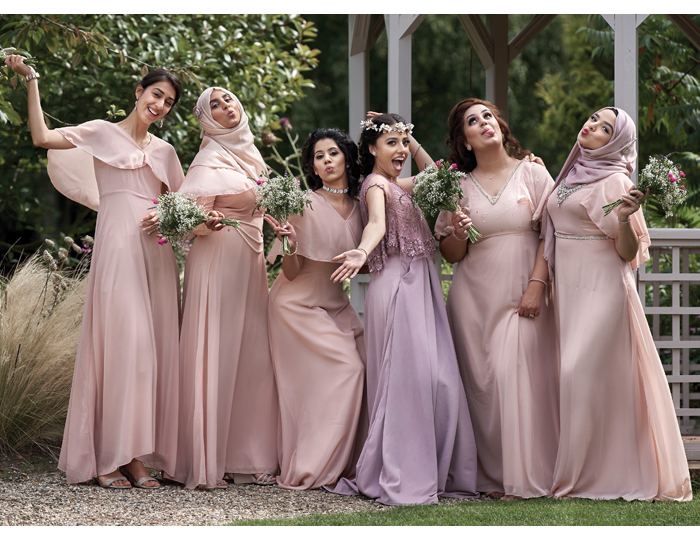 Not only can these be customized with their names, but also with the role you want them in your wedding, making them perfect for everyone from your Maid of Honour to your flower girls if you’re having them. They may look at you in surprise when you hand over this card (which is, after all, the intended reaction) but all will be revealed once they scratch off the golden foil heart and read the message hidden beneath. Just be sure to include a lucky coin in your envelope! Who doesn’t love a sweet treat, especially when they’re as adorable as Lavish Slice’s? 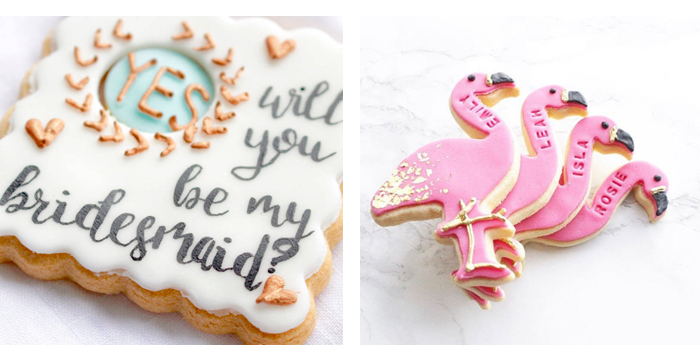 Pick the bridesmaid proposal design or have the company design a batch of cookies for your flock. The next time you make plans to head to a spa, make sure you go to Lick and Promise first to order a beautiful kimono robe. 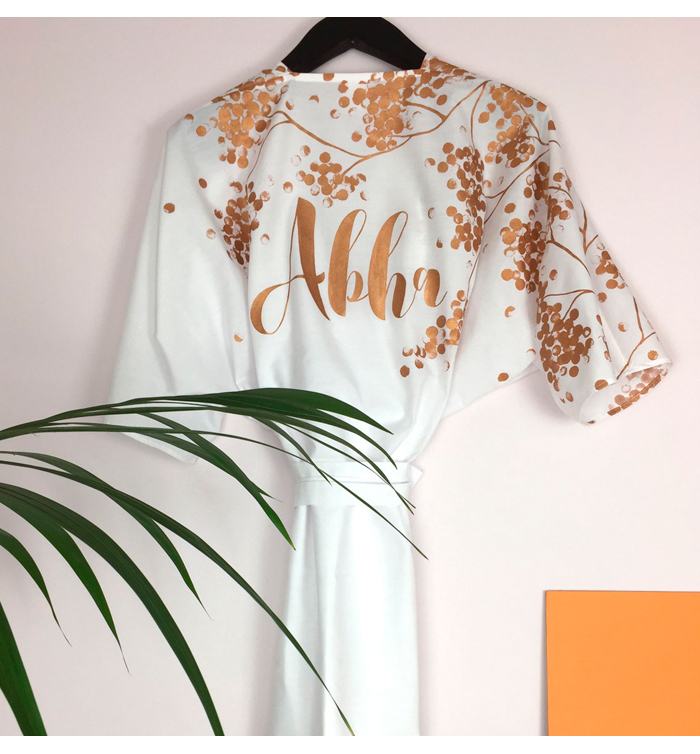 They will print your girls' name or role in your wedding in elegant flowing script over the back. The gold on white style is universally flattering and will really make your Morning Of photos pop! Available in white, cream, mint blue, pink or navy. If you’re asking friends who live abroad to play an important role in your day, this is a fun way to do it without actually buying a plane ticket. 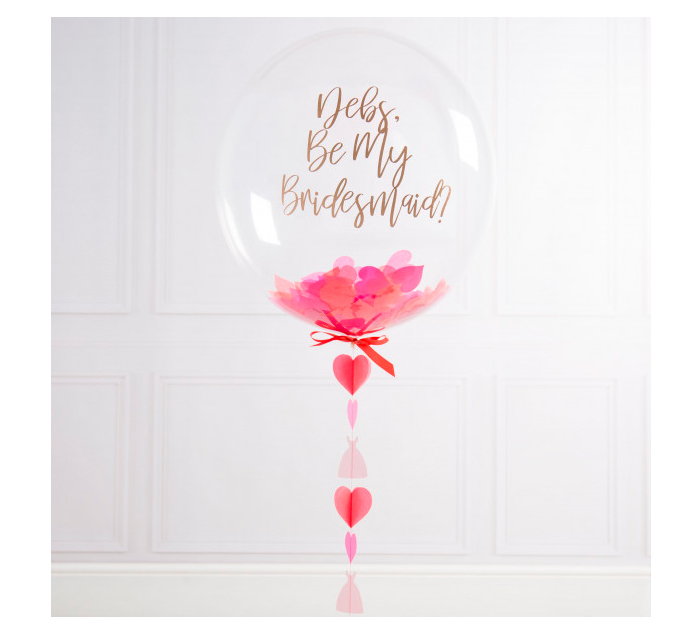 Bubblegum Balloons’ Bridesmaid balloons will delight them from the moment they open the box and they float out, ready to pop the question on your behalf. Got something special to say, or want to include an in-joke? Bespoke options are available too!